With the arrival of the Jailbreak for iOS 6 devices , opened all those longed for many possibilities regarding customization of our favorite iOS device. So, Cydia is back to relive those days when thousands of users per day resort to countless tweaks to make it look as personal as possible to your terminal. 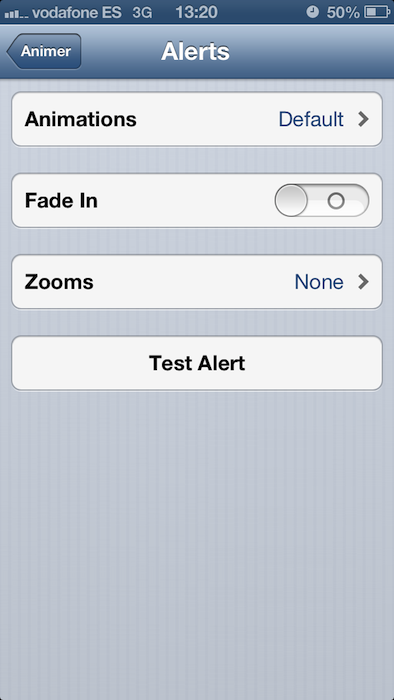 On this day, since we bring you a tweak EsferaiPhone downloadable from the application with which you can customize both transitions receive notifications of different applications, alerts them and the system itself as well, the way that the bar is displayed on the multitasking bottom of the screen. 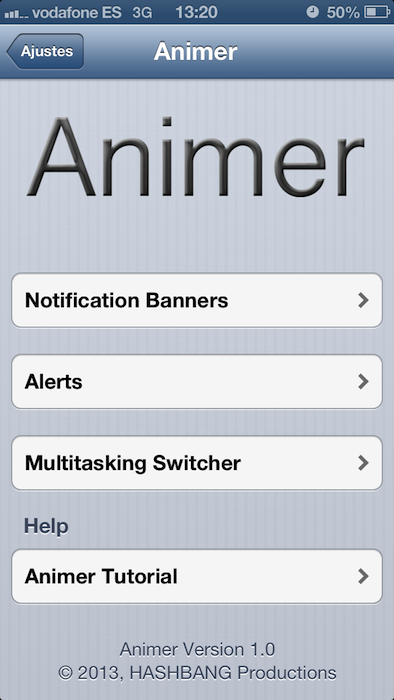 This tweak, called animer, and is the work of known and developed HASHBAG Productions. While not known for countless configuration options, it does give a very personal and discreet enough to keep creating that harmony that characterizes Apple's operating system. 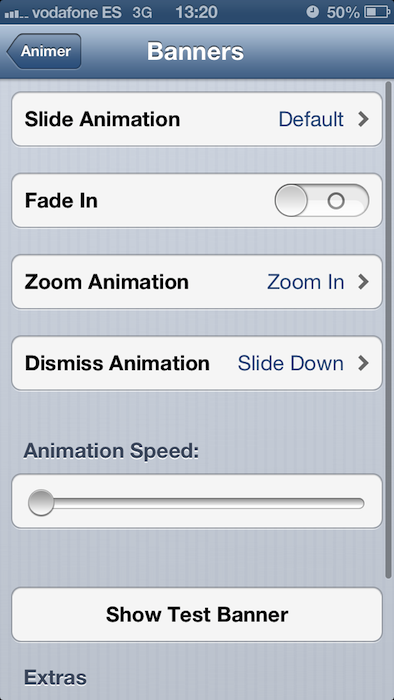 It is important to note, first, that animer only supports devices with iOS 6 and, secondly, that it is a payment tweak (0.75 € approx.) In the BigBoss repository.